In response to our acoustic builders concerns over the venue being too loud we have a second show room, The Acoustic Cafe. Only acoustic instrument builders and dealers will be in this room, first come first served. This room will allow for a much quieter experience for meeting prospective buyers. We will promote this new room specifically as part of the Expo marketing. Only 14 booths are available so don’t wait too long, we are sure this is going to fill up quickly. Early bird savings for booth space is available! Cost is $350 for a single booth, $550 for a double booth space if paid by January 31, 2019. Call us with questions. At our previous show the booths sold out before the early bird date so don’t wait too long. A single Booth space is $350 if paid before January 31, 2019 or $400 if paid by February 28, 2019. All single booths paid for after March 1, 2019, are $450. A double Booth space is $550 if paid before January 31, 2019, or $650 if paid by February 28, 2019. All double booths paid for after March 1, 2019, are $750. All booths are first come, first served. 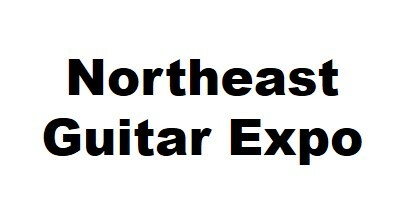 Booth locations will be determined by Northeast Guitar Expo. Great area for a high-end guitar show! Located between Hartford and New Haven, with great access from Fairfield County, Massachusetts, New York City, Westchester County and Providence.